Vehicles proceeding from Gollapudi, Kummaripalem and One Town areas will be diverted from Sitara Centre, Milk Factory, Chittinagar, Panja Centre, Railway Booking Counter, RTC Terminal, Low Bridge, Prakasam Statue, Police Control Room, Bandar Locks and enter National Highway 9 and cross the district via. Kanakadurga Varadhi. Traffic coming from Bandar and Eluru Roads will be diverted to the NH-9 from Bandar Locks and reach Kanakadurga Varadhi. 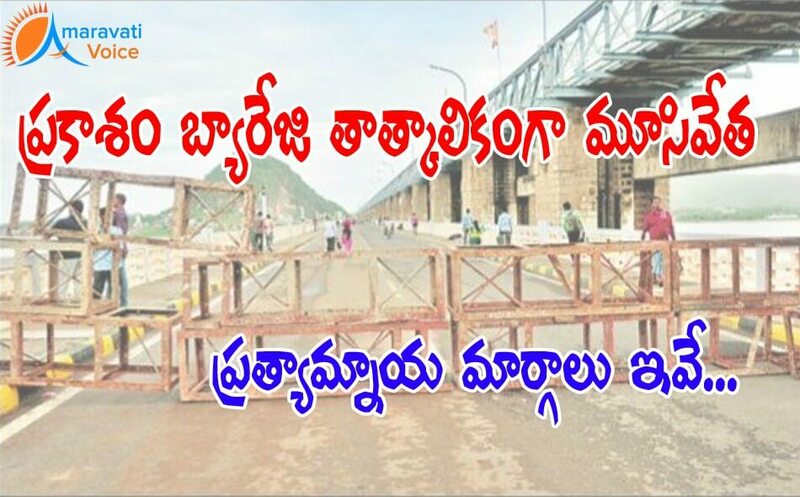 Traffic coming from Guntur, Seetanagaram, Tadepalli and other places from Guntur district will not be allowed on the barrage.